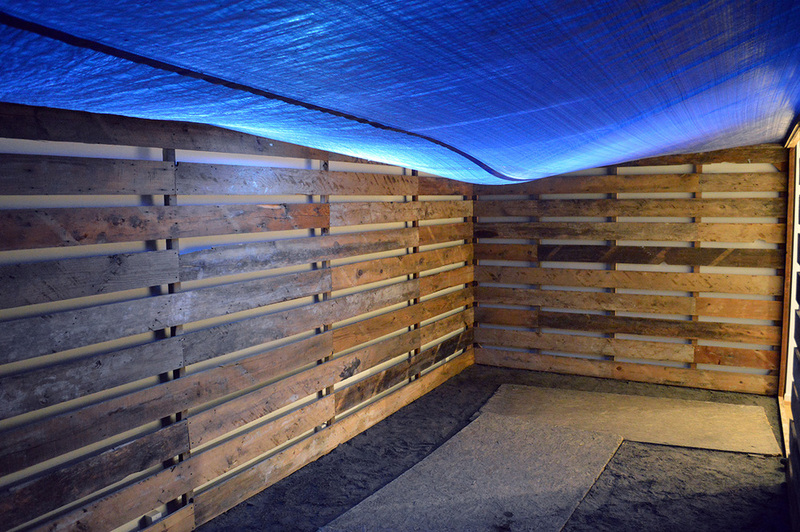 Reclaimed mixed barn wood, blue tarp, earth, water, and light. Shown as one of the three June Solo's at Hillyer Art Space in Dupont, DC. 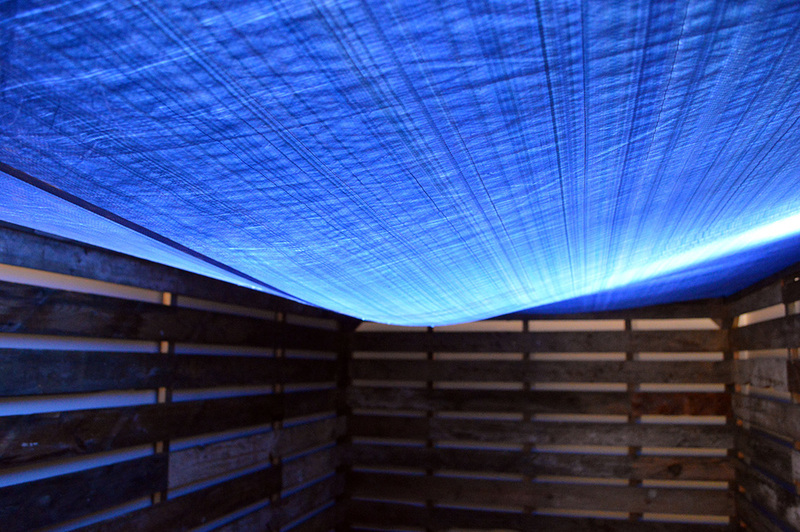 In this site specific installation ‘Conjure’, I am working with the feeling associated with the memory of sunlight through a tarp covered hay wagon. Specific memories from my past growing up on the farm stick out as awe-inspiring experiences. The concept of doing hay later on was realized as a theory of work vs. play. 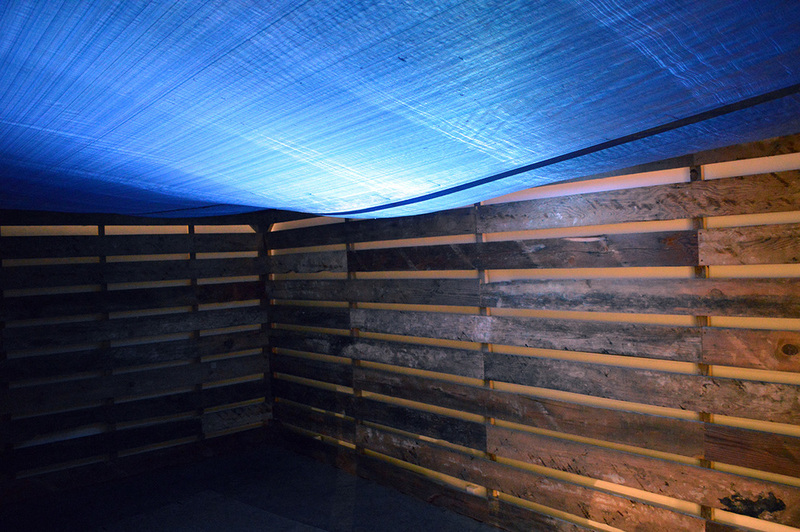 When enough hay was harvested, some bales would have to stay on the wagon and if it was scheduled to rain, a blue tarp would be tied down over the structure. The rain would collect in the center and the tarp would sag down reaching towards the bales creating an incredible light show through the rippling water. Through this installation I’m seeking to evoke this feeling of intense nostalgia.